It has been a real blessing to be able to report to some of you over the past couple of weeks. As you know, we have returned to the States for a very short furlough and will be traveling and reporting in churches for four months before returning to Cambodia. It has been a blessing to receive reports from Cambodia of folks being saved and following the Lord in the short time we have been away. 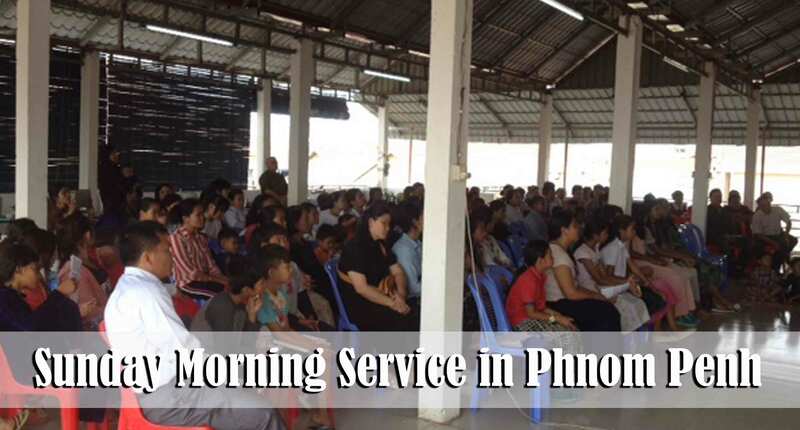 This is the photo of the morning service in Phnom Penh this past week. Please continue to pray for the work as we are working on strengthening the foundation of the ministries. Numerical growth is healthy and normal but we also need to make sure that our national leaders are growing in the Lord and in their ability to disciple others. As we see many of you over the next couple of months we will be sharing with you some specific goals for the next four years that we believe will help establish the national leaders and will enable us to multiply to even a greater extent. Please continue to pray for Grace and Sina as they are focusing quite a bit of their efforts on the deaf community in Phnom Penh. 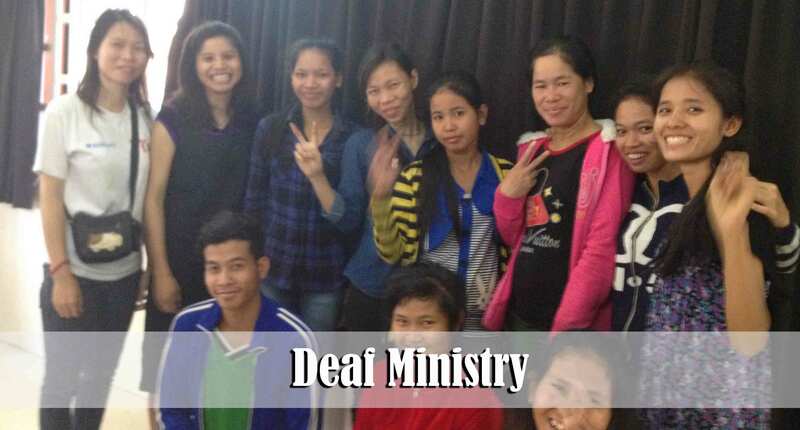 The deaf are an unreached people group in Cambodia. It is a blessing to see how these folks are growing in the Lord. We anticipate scores of deaf folks coming to the Lord in the future as these folks grow in their walk with the Lord and their ability to share their faith in the Lord Jesus Christ with other deaf friends. We hope to be able to start a deaf children’s Sunday School class in the near future. Please be in prayer with us about this goal. Thank you for praying for the teen ministries at Pacific Baptist Church in Phnom Penh as well as the various villages. It has been a blessing to see some of the newer teen boys grow in their ministry involvement. There four new believers in this new music group who have been saved less than four months but who are already excited to be involved! One of them is Sroun, the young man playing the guitar. Please continue to pray that these boys will be faithful to the Lord. Nearly all of them come from homes that are opposed to them being Christians. Bro. 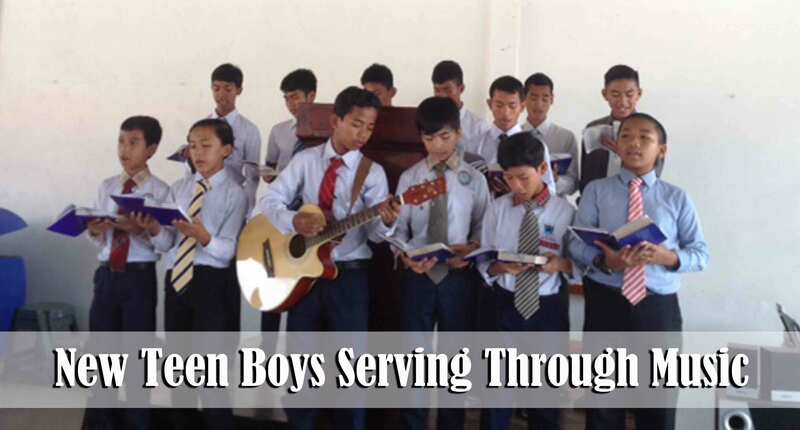 Adrian Torres recently began teaching English to some of our faithful teen boys. This new ministry has several purposes but ultimately we believe that this new ministry will help to strengthen the faith of these young men. Adrian connects very well with these young people and they enjoy spending time with him. We have limited the class to those who have already been saved and who are faithfully living for the Lord. Please pray that this new ministry will be just another way to help disciple these young men for the Lord. It was a blessing to see Ming receive Believer’s Baptism a couple of weeks ago. 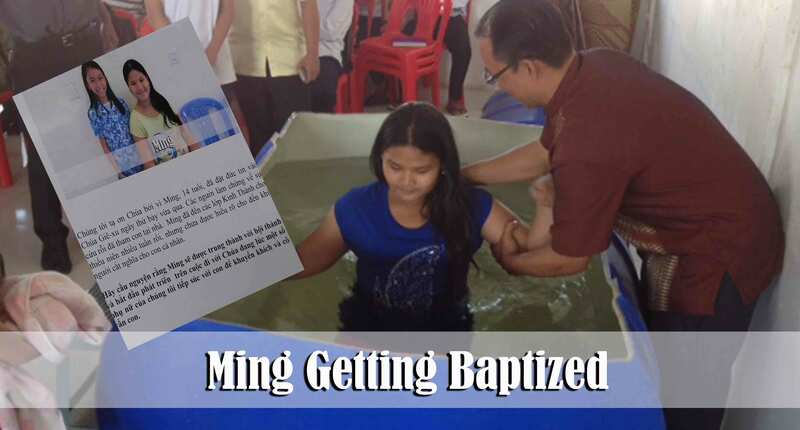 Ming had sporadically attended the Phnom Penh Children’s Ministry but just recently got saved. We were blessed to have the opportunity to participate in a missions conference in a Vietnamese Church in Kansas City, Missouri this past week and to see Ming’s picture and testimony on a poster translated into Vietnamese. That poster, and others, served as a reminder for the church to pray for the new believers in Cambodia. We know for certain that it is the prayers of God’s people that are resulting in changed lives in Southeast Asia. Thank you for doing your part by standing with us in prayer and support. Grandma Long is a new believer that we introduced to you several weeks ago. At 86 years old she is full of joy because she has found hope in Jesus Christ. This picture was taken just a few hours before we left for the states. You can see that she is happy to be saved. Her family is not pleased with her decision to turn to the living God from dead idols. Just after taking this picture I was told that her children had forced her to leave her home because she refused to return to Buddhism. 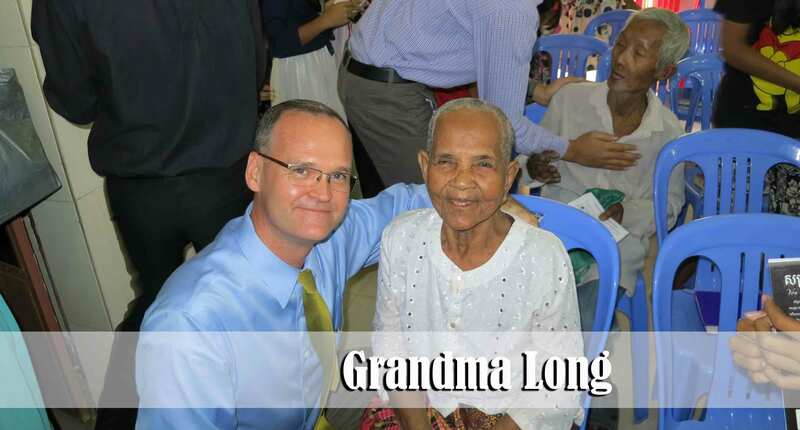 Please pray that God will provide for Grandma Long and that her children will have a change of heart. It was a blessing to be able to once again spend some time with Bro. and Mrs. Chan Sin while we were in Long Beach, California. The Lord used our family to influence the Sin family to come to the Baptist church over twenty years ago. Since that time they have never wavered in their commitment to the Lord and to His work. Bro. Sin is nearly 80 years old but he continues to faithfully serve as our Cambodian Pastor in Long Beach. I don’t know of another Cambodian couple who has more integrity and love for the Lord and for their own people. Thank God for faithful saints who serve the Lord with gladness! We were able to spend some time with Brother Samon and his wife, Sun Neang while we were in Long Beach. It was a blessing to be in their home and see the many Christian books in his library as well as Christ honoring pictures hung on the wall. I remember very clearly when I first met them over twenty years ago and being in their home that was full of idols and Buddhist altars. I had the opportunity of leading both of them to the Lord and discipling them many years ago. 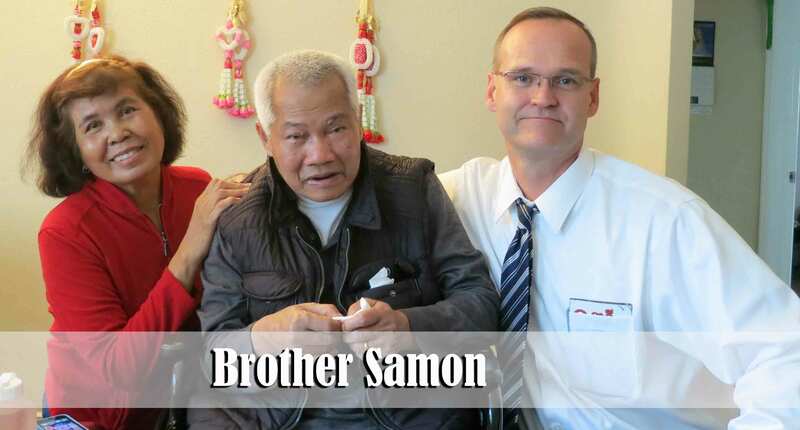 Once he was trained, Brother Samon faithfully served as the pastor of a Cambodian Baptist church for 9 years. During that time he was criticized by many of his own people because of his stand for the Word of God and his unwillingness to allow members in his church to influence the messages he preached. 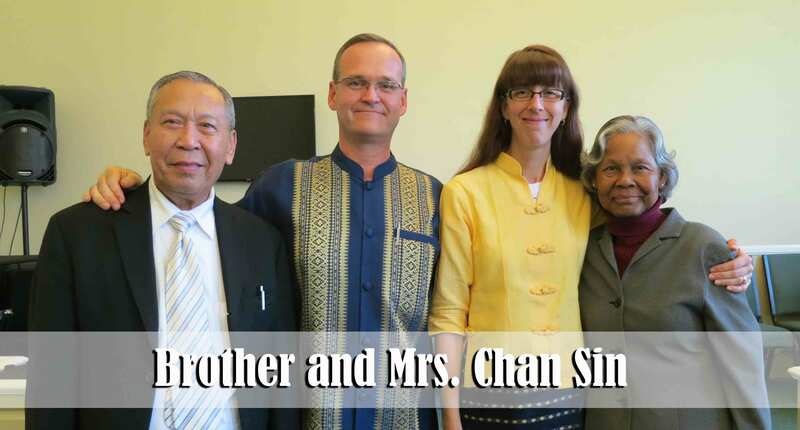 Eight years ago he resigned the ministry and joined Pacific Baptist Church where they faithfully served the Lord in the Cambodian congregation. Over the past three years Bro. Samon has experienced serious health problems that have left him home-bound and unable to function properly. Though he is unable to communicate very well he still has all of his mental faculties about him and was able to express his unwavering trust in the Lord. We were blessed to hear Sun Neang tell us that they faithfully pray for our family and the work in Cambodia three times a day. While we were in Long Beach I was privileged to teach in the Bible College for two weeks an intensive class dealing with discipling new believers on the mission field. It was a blessing to get to know new college students whom we had never met. 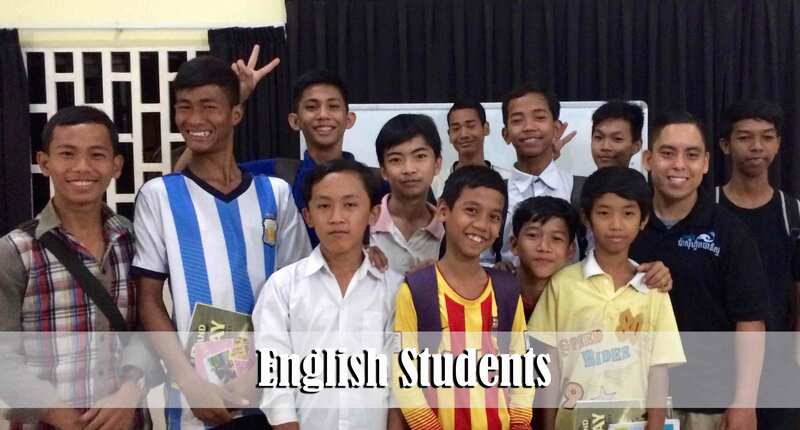 There are a number of Cambodian-American students in the college who are preparing for ministry. Please help pray for these young people as they continue to seek God’s perfect will for their lives. I have no doubt that some of them will heed God’s call to serve Him in Southeast Asia. 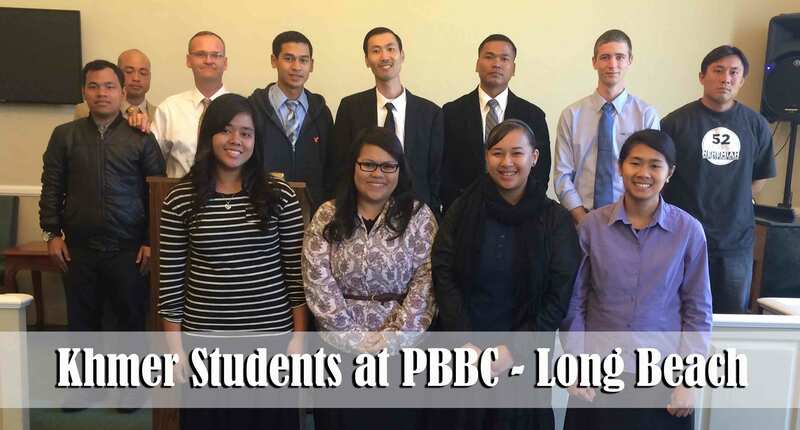 I am presently communicating with three young adults (none of whom are in this picture) from Long Beach who each feel that the Lord may be calling them to Cambodia as missionaries. Please help pray for these young people to remain committed to follow the Lord wherever He might lead them. We are blessed to be able to rent this van from a good brother in Missouri who has a ministry of renting vehicles to missionaries. It has been a great help to our family! We are experiencing culture shock in the midwest right now. It was 1 degree when we got into the van…we checked the weather in Phnom Penh and it was 95 degrees! 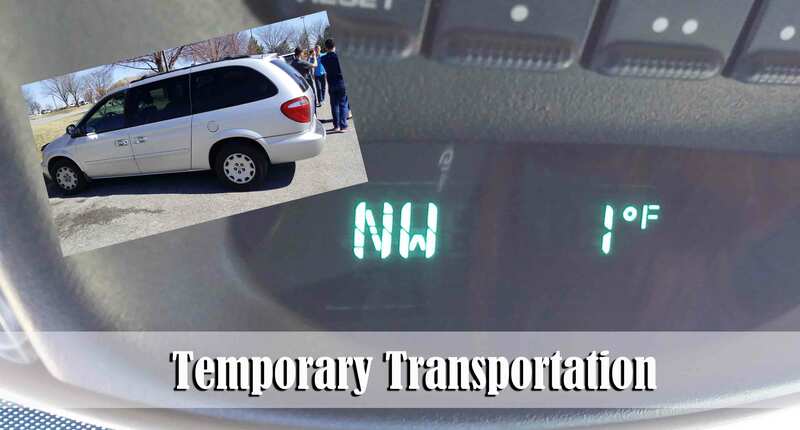 Please pray for our safety as we drive several thousand miles over the next few weeks. Long Beach and you and Ms. Debbie bring your beautiful smiles of hope and inspiration even through your hardships and challenges trying to help others. My heart has always and will continue to be with you and the boys.